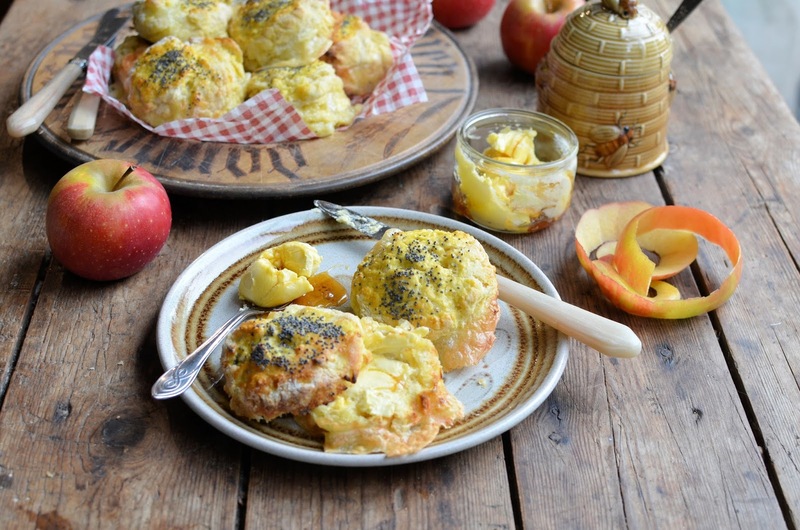 Le Rustique Camembert and Apple Scones with Honey Butter. Le Rustique has partnered with food blogger and cheese lover Lavender & Lovage to create unique recipes combining the creamy textures of Camembert and Brie with the sweet taste of honey. 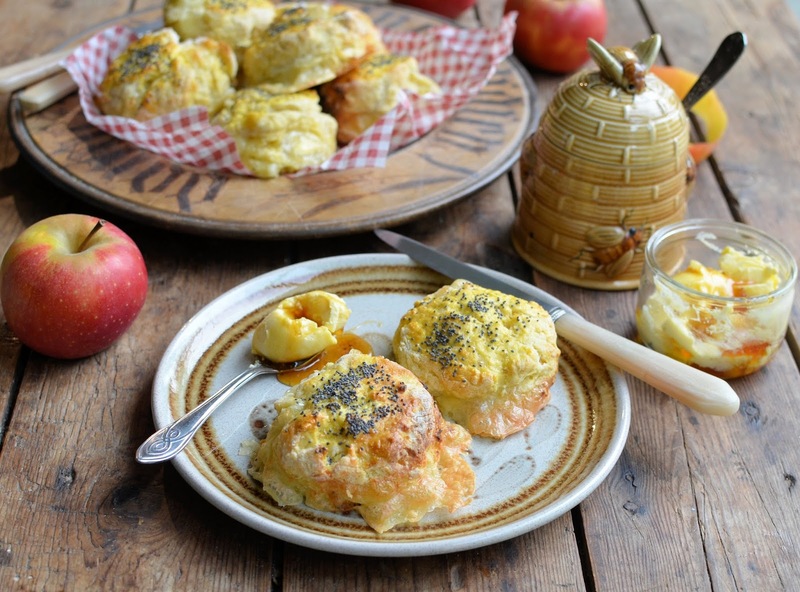 Delectable Le Rustique Camembert and Apple Scones are on the table in less than half an hour and are perfect when served with honey butter. Why not also serve as part of an afternoon tea or as an accompaniment to soups, stews or casseroles, or even as part of a “Ploughman’s Lunch”. 3. Sift the flour, baking powder and salt together and then rub in the butter until it resembles breadcrumbs. 7. Bake in the preheated oven for 10 to 12 minutes, or until they are well risen and golden brown. 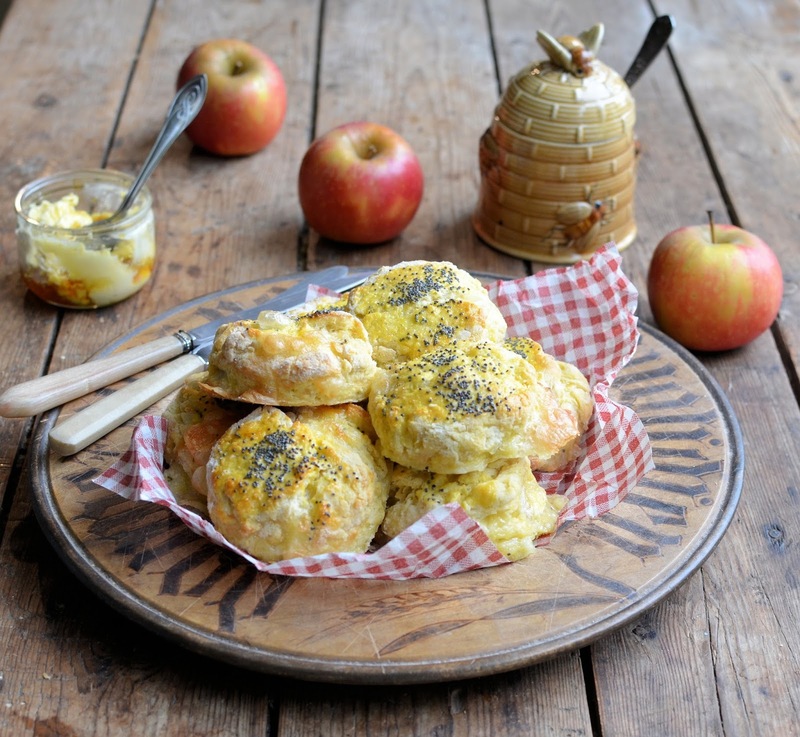 Le Rustique Camembert and Apple Scones with Honey Butter recipe and image courtesy of Le Rustique Camembert. These delicious “Scotch Eggs” hide a cheesy secret inside! Two delicious flavours, herby pork sausage meat and black pudding, each wrapped around a cube of Le Rustique Camembert which after being deep-fried ooze seductively. Dunk these into a tangy, sweet honey and mustard dip for a truly cheesy treat. Le Rustique Camembert “Scotch Eggs” Two Ways with Honey and Mustard Dip. Fancy making some of these Le Rustique Brie de Caractère, Apricot, and Walnut Stuffed Chicken Breast? How about a nice and tasty Le Rustique Camembert, Fig and Basil Sourdough Toastie for brunch? "How To Make A Ginger and Lime Drizzle Cake"
"How To Make A Pineapple And Coconut Loaf"